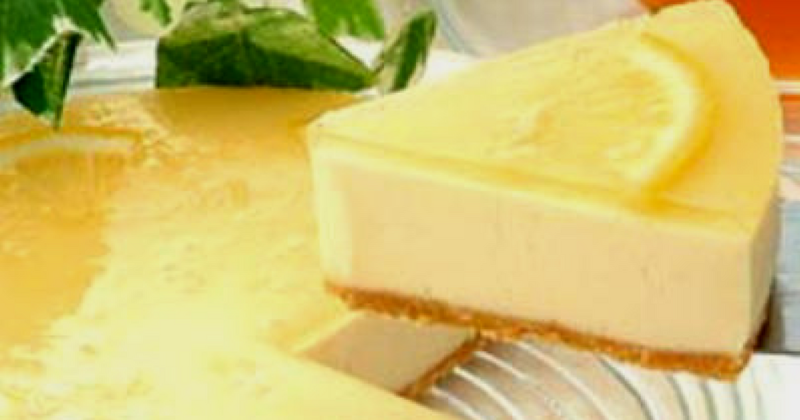 Limoncello Cheesecake – No-Bake Recipe may be a bright and sweet-scented treat that is tempting. This cake is one of the freshest desserts to prepare in summer because of the biscuit base’s plentiful lemon flavored cream cheese filling. This glorious sweet may be ready cold and baked and with varying kinds of bases. The first cheesecake we remember was served to athletes during the Olympic Games. But we are not talking about the modern Olympics in Atlanta or London, but the ancient ones that took place in Greece. In fact, in the eighth century BC, according to what Callimachus tells us, there was a man, Egimio, who was delighted with the writing of a text entirely dedicated to the art of making cheese pies. The Greeks’ passion for cheesecake, however, is also confirmed by historians. In 776 BC, in the island of Delos the athletes were refilled with a cake made from sheep’s and honey’s cheese. A bit like what happened in ancient Rome when the placenta was served,- a dessert made with two discs of pasta and cheese in the middle, at least according to the recipe told by Cato the Censor in his De Agri Cultura. 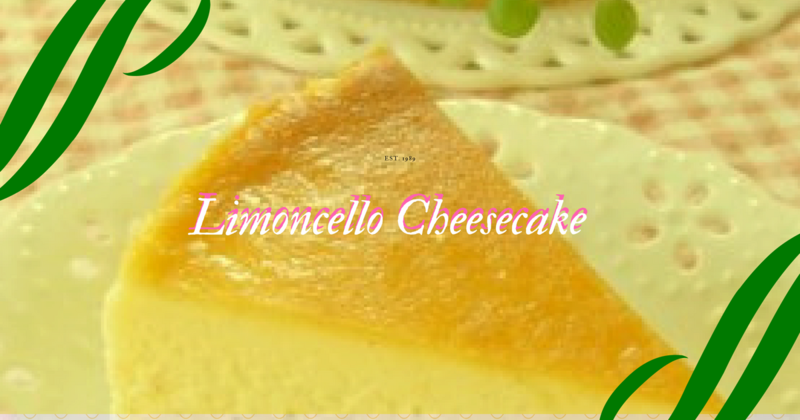 Limoncello cheesecake is a refreshing and inviting dessert made of cheese. The cheesecake is a dessert of New York origin, which has been part of American cuisine for years. Moreover, this dessert is a refined and elegant, perfect for special occasions. It consists of a base of crunchy biscuits, a layer of cream cheese flavored with limoncello and a fresh lemon topping: the mix is balanced and pleasing to the palate. This no-bake cake does not contain eggs, therefore, it is perfect for anyone with food intolerances or a diet poor in animal protein. Additionally, this dessert is easy to prepare. It is advisable to prepare the lemon cheesecake the day before serving it so that it can chill overnight in the refrigerator. The recipe “original”, if we can call it, provides a base of crumbled biscuits and butter. Additionally, a cream mixed with cheese with sugar and cream and fruit of various kinds. There is a version of this sweet also cooked, in particular, the most famous is the New York version. This involves the use of cream of milk and eggs, together with sugar, to prepare the filling. In this case, the cheesecake is served cold, but after being cooked in the oven. In Ireland, there are those who like to integrate the preparation with the Baileys, while in New Zealand they strictly use afghan cookies, a type of typical biscuits. There are also those who use sour cream instead of the traditional one or those who use the vanilla to flavor the cheese. 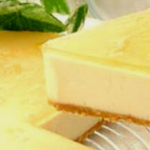 The lemon cheesecake is a fresh and fast recipe, very suitable for the summer. Like all cheesecake, it is not complicated to prepare. Mash the biscuits in a ziplock bag. Place the crumbs in a bowl. Mix the crumbs with melted butter thoroughly. Place the mixture in an 8 x 20 Springform pan. Level and press down firmly. Chill for 2-3 hours. Mix the cream cheese and icing sugar with an electric mixer until smooth. Add in the lemon zest and lemon juice. Whisk again until all ingredients are fully incorporated. Add 1 tbsp of limoncello at a time whilst whisking. Make sure that the mixture is mixed thoroughly before adding more. You may notice the mixture like the mixture is splitting and odd, but it will come back. Once the limoncello has run out, pour in the liquid double cream while whisking slowly. Add the cream cheese mixture. Continue whisking until it is starting to thicken. Remember not to whip too fast. Once thick, spread onto the biscuit base evenly then leave to set in the fridge, covered, for 5-6 hours, or preferably overnight. Melt white chocolate carefully. Add yellow food coloring on the melted chocolate. Drizzle over the cheesecake. Whip up the double cream and pipe around the edge of the cheesecake. Cut and serve. Others will follow very soon!